With the chalice now overflowing with the blood of those who dared oppose the Druchii, the time has come – behold as the loathsome Kharibdyss rises from the depths! 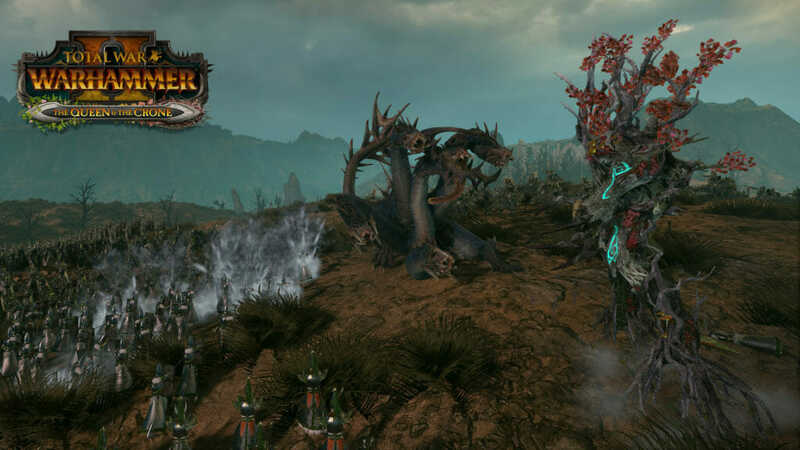 The Kharibdyss is a free addition to the Dark Elves roster for all owners of The Queen & The Crone DLC, and will be available from 15:00 BST on the 21st of June. Excelling at munching on other monsters, the Kharibdyss may be slow and lumbering but its poisonous armour-piercing attacks are some of the hardest hitting in the game. Its terrifying presence and abyssal howl reduce the most courageous leaders to mere shadows of their former selves, and even dragons may end up reduced to little more than a mid-battle snack by one of its many mouths. 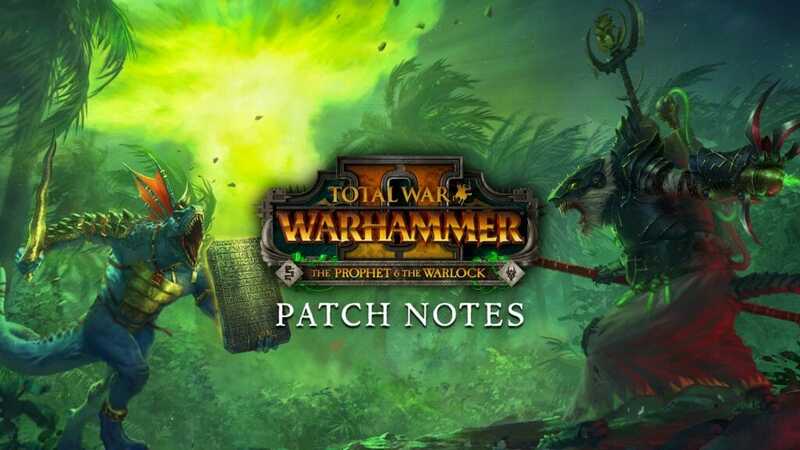 In addition to the arrival of the eponymous monster, the Kharibdyss update also includes a number of revisions, improvements and balance changes for Total War: WARHAMMER II for all players regardless of whether they own The Queen & The Crone – read on to find out more. Rebalanced Crone Hellebron’s Cursed Blade ability by removing the phase recharge and changing the phase to deal up to 144 to a single target when the phase is applied. The phase can be reapplied every ten seconds. Rogue armies will now spawn correctly in campaigns. Arkhan’s Legion of Death skill will now add factionwide buffs to Fell Bats, Crypt Ghouls, Dire Wolves and Hex Wraiths. Bone Giant has had the undead trait removed and the construct trait added as well as +10 Leadership. Bretonnian starting armies have been changed back to what they were prior to The Queen and the Crone update. Tyrion’s -1 to recruitment time will now apply to Sisters of Avelorn and Shadow Warriors. Firebark Elders (Tree Kin) Regiment of Renown unit now correctly has its Wildfire Aura ability. Summoners of Rage (Dragon Ogres) Regiment of Renown unit now correctly has its Chain Lightning ability. Great Mortis Delta province is now correctly part of the Geomantic Web. Fixed a softlock that would occur for Crone Hellebron when the Amulet of Dark Fire quest would trigger when Shrine of Khaine had been razed. Sword of Khaine will no longer display an Empire flag after loading a save game from before The Queen and the Crone update when Shrine of Khaine has been razed. Diplomacy Greetings for Dark Elf factions will now use the correct VO actors. Sisters of Slaughter and Sisters of Avelorn will no longer use male conversational VO in battles. Builds in localised languages will now trigger UI click sounds on the technology tree, skill tree and crafting screens. Rites are no longer locked on save games created before The Queen and The Crone’s release. Walls will now display correctly on the campaign map when loading a save game. Black Ark Admirals will no longer be able to obtain The Sword of Khaine. Sword of Khaine will no longer be lost when the Lord’s army does not participate in a battle as a reinforcing army due to Lightning Strike and the allied army suffers a loss. AI will now upgrade Gaean Vale. AI will now build Handmaiden’s Gallery. Norsca and Wintertooth can no longer build minor defense buildings in province captials. Alarielle’s Star of Avelorn now requires 85% untained in Titan Peaks as part of the quest chain, rather than 95%. Gianthome Mountains will now have a garrison force. Dreadlord of Hag Graef will now unlock after building The Dark Crag. The Tier V Dwarf Smith building chain will now increase the capacity for Runesmiths recruitable. 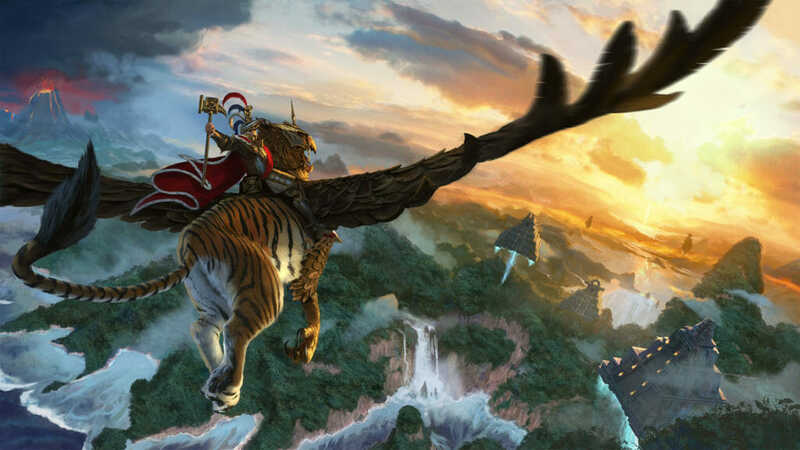 AI Throgg will no longer upgrade to a chariot. Wood Elves and Argwylon Tree Kin will no longer use Averlorn faction colours. Tomb Kings Regiments of Renown now correctly show the diamond icon denoting they are Regiments of Renown within battle. Supreme Sorceress shoulder clipping issues have been fixed. Fashion advisors have been hired for the Hydras. Legacy of the Necromancer achievement will now be attainable. Cave In achievement will now be attainable. Mods will now show up correctly in the modified.log file. Various spelling and grammatical errors fixed. Various localisation issues fixed across multiple languages. – 15 missile block chance. Hold the Line: replaced +100% Charge Resistance with +5 melee defence. Shield of Faith: duration increased to 25 secs. Grand Shield of Faith: reduced to 40m radius, duration increased to 50 seconds. The Festag Beta Update: Updated!